Click here to view our Winner’s Gallery. Scroll down to read the competition rules. This Week’s Competition – Cast Your Vote! Would you like to have your pet listed as our “Pet of the Week” on Pet Hotels of America? Upload your photo above, or if you have trouble uploading, send an email and a JPG photo of your pet to FavoritePets@pethotelsofamerica.com. Each week we’re showing off the pets who melt our hearts, make us laugh, or who have a story too irresistible not to share at Pet Hotels of America. Winners will receive a e-giftcertificate for PetSmart.com. The amount will be based on the number of individual submissions (one submission per person per week please). In an effort to tell more people about our website, we’re increasing the contest award based on the number of individual submissions we receive. In other words, after you submit your pet, you should tell your friends to increase the value of the e-giftcertificate we’ll give away. Each Monday, winners will be notified via email that their pet was selected. 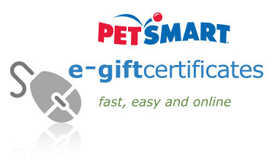 Once we receive authorization to use your pet’s photo, we’ll immediately email you the e-giftcertificate for PetSmart.com. Submit your photo above, or if you have trouble, send an email and a JPG photo of your pet to FavoritePets@pethotelsofamerica.com. Tell us your pet’s story, as we’re using that as part of our winner criteria.